Visit the Eagles' official website for your daily fix of team information. Carson Wentz was shelved last December because of a stress fracture in his back. The Eagles QB said Monday that he's still not fully healthy but is hopeful he'll be available for OTAs in May. Philadelphia Eagles defensive back Jalen Mills was arrested early Saturday morning following a physical altercation with former Washington Wizards player Devin Robinson. The Philadelphia Eagles signed a trio of former AAF players to one-year deals, including wide receiver Charles Johnson. While with the Orlando Apollos, Johnson was AAF's top WR. Following another injury-plagued season with the Eagles, running back/kick returner Darren Sproles said he'll make a decision on coming back in May. The Chicago Bears finally moved Jordan Howard. Chicago shipped the running back to the Philadelphia Eagles in exchange for a conditional 2020 draft pick on Thursday night. Philadelphia Eagles GM Howie Roseman made it clear at the Annual League Meeting in Phoenix that quarterback Carson Wentz is his guy and locking him down remains a priority. Jeremy Maclin is calling it quits. The former Philadelphia Eagles wide receiver announced his retirement on Sunday after 10 years in the NFL. Eagles coach Doug Pederson underwent foot surgery to deal with a nagging ailment, NFL Network Insider Ian Rapoport reported. Vinny Papale, the son of Philadelphia Eagles legend Vince Papale, will get a tryout with his dad's former team. Papale Jr. will participate in the Eagles' local pro day on April 17. The Philadelphia Eagles are getting help on defense. The team announced the signing of safety Andrew Sendejo to a one-year contract. Philadelphia Eagles wide receiver DeSean Jackson talks about rejoining the Eagles. The Tampa Bay Buccaneers have traded veteran wide receiver DeSean Jackson to the Philadelphia Eagles, NFL Network's Ian Rapoport and Mike Garafolo report. The Eagles are bolstering their defense. Per NFL Network Insider Ian Rapoport, Philly is signing defensive tackle Malik Jackson to a three-year deal worth $30 million. The Eagles and Patriots are working on a trade that would send defensive end Michael Bennett to New England, NFL Network Insider Ian Rapoport reports. Michael Bennett said he'd like to remain in Philly -- at the right price. The Eagles defensive end weighed in on that as well as reports of him possibly being traded during an appearance on "Good Morning Football." The Miami Dolphins have had trade conversations surrounding defensive end Robert Quinn, Ian Rapoport reports. Here's other developing nuggets from around the league. 4/15 Nate Sudfeld (QB) No Offer Sheet Executed (no offer sheet executed). 4/9 Luis Perez (QB) Free Agent Signing (free agent signing). 4/9 Greg Ward (WR) Free Agent Signing (free agent signing). 4/9 Charles D. Johnson (WR) Free Agent Signing (free agent signing). The Philadelphia Eagles announced the hiring of Kansas City Chiefs offensive coordinator Doug Pederson as the team's new head coach on January 18, 2016. The 47-year-old Pederson comes to the Eagles with a combined 19 years of NFL experience as both a coach and player, including the last three seasons as the Chiefs' offensive coordinator. This will be his third stint with the Eagles, as he previously served as the teamâ€™s quarterbacks coach (2011-12) and offensive quality control coach (2009-10), and played quarterback for the team in 1999. "We are excited to introduce Doug Pederson as our new head coach," said Eagles Chairman and CEO Jeffrey Lurie. "Doug is a strategic thinker, a compelling leader and communicator, and someone who truly knows how to get the best out of his players. All of these factors were what initially attracted us to Doug and we believe that he is the right man to help us achieve our ultimate goal." As the Chiefs' offensive coordinator from 2013-15, Pederson helped guide Kansas City to a 31-17 regular-season record and playoff appearances in 2013 and 2015. During his three seasons as the team's offensive coordinator, the Chiefs ranked first in the NFL in rushing touchdowns (54), third in yards per carry (4.64) and seventh in total rushing yards (6,018). In 2015, Pederson helped the Chiefs rebound from a 1-5 start to win a team-record 11 consecutive games, including Kansas City's first playoff victory in 22 years. During Pederson's first two years as Kansas Cityâ€™s offensive coordinator, Pro Bowl running back Jamaal Charles enjoyed remarkable success as he ranked third amongst NFL running backs in yards per carry (4.99) and third overall in rushing touchdowns (21), fifth in rushing yards per game (77.3) and sixth in total rushing yards (2,320). In 2013, Charles' first season in Pedersonâ€™s offense, the eight-year veteran set career highs in yards from scrimmage (1,980), total touchdowns (19), receptions (70) and receiving yards (693). While Charles was already in the fold when Pederson arrived in Kansas City, the Chiefs acquired quarterback Alex Smith via trade in 2013 and the former No. 1 overall pick went on to post single-season career highs in passing yards (3,313) and passing touchdowns (23), while earning his first trip to the Pro Bowl in his first year under Pederson's tutelage. During his three years in Pederson's offense, Smith has notched three-consecutive 3,000-yard seasons, has thrown the second-fewest interceptions among quarterback with more than 1,000 attempts (20) and ranked fourth among all quarterbacks with 1,183 rushing yards. As a first-time offensive coordinator for Kansas City in 2013, Pederson was part of a coaching staff that turned a 2-14 Chiefs team into an 11-5 playoff squad, marking the largest one-year turnaround in team history. Prior to his tenure with the Chiefs, Pederson spent two seasons as the Eagles' quarterbacks coach (2011-12) and helped quarterback Michael Vick become the second quarterback in NFL history to top the 3,000-yard passing and 500-yard rushing plateaus in consecutive seasons. 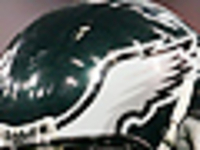 In 2011, the Eagles' offense recorded the second-most net yards in team history (6,386) and a franchise-record 356 first downs. Before coaching, Pederson enjoyed a 12-year playing career in the NFL with the Packers, Dolphins, Eagles and Browns. As a backup quarterback for the Packers, he was part of a team that won Super Bowl XXXI, captured two NFC Championships (1996 and 1997) and earned eight playoff berths and six division titles. During his playing career, Pederson was coached by three of the most successful coaches in NFL history: Don Shula, Mike Holmgren and Andy Reid. Additionally, Pederson played alongside Pro Bowl quarterbacks Brett Favre, Dan Marino, Donovan McNabb and Jim McMahon. Pederson, a native of Bellingham, Washington, earned a degree in management from Northeast Louisiana (now Louisiana-Monroe) in 1990. He and his wife, Jeannie, have three sons, Drew, Josh and Joel.